Poor balance and/or falls is a common problem people of all ages face due to a variety of conditions. SandhillsPT Physical Therapists are trained to treat balance and vestibular disorders caused by vertigo, peripheral neuropathy, Parkinson’s disease, Multiple Sclerosis, ankle and/or knee instability, and a variety of other conditions. 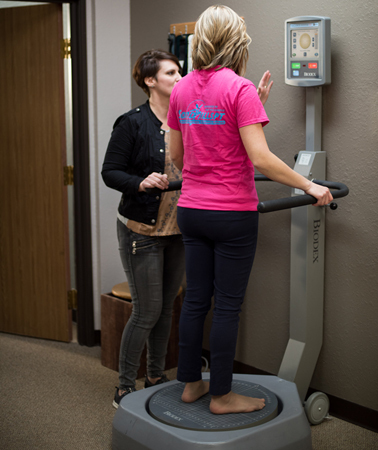 We utilize a multitude of tools in our clinic to improve balance and vestibular control, including, but not limited to, the Biodex Balance System and our Bioness L300 Functional Electronic Stimulation device.